May was a full month. On May 2, we celebrated one year of living here on Arrow Hill Homestead. It’s hard to believe it’s already been a year – such a full and fun year that we’ll never forget. 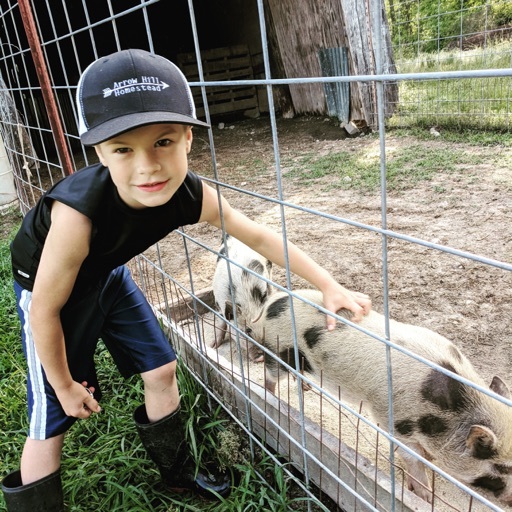 I’m still pinching myself that this is real – that we have 5 acres, livestock and plenty of room to grow crops and for our children to explore! 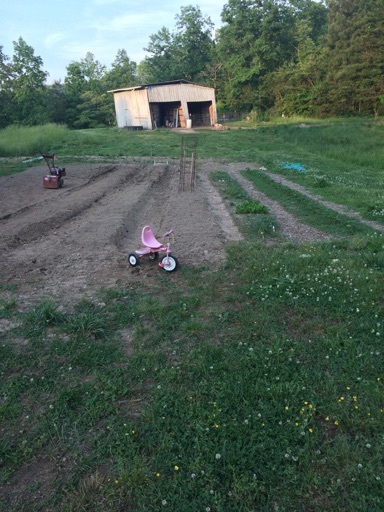 We spent quite a bit of time prepping our garden beds as well as planting. 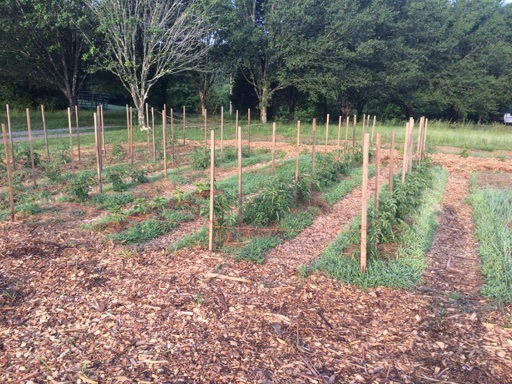 We planted tomatoes, peppers and a few herbs that we purchased but the bulk of the garden was planted from seed. 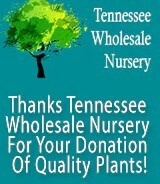 I love planting time! It seemed like we had about 2 weeks of spring this year. It went from cold in early April to feeling like summer in May. 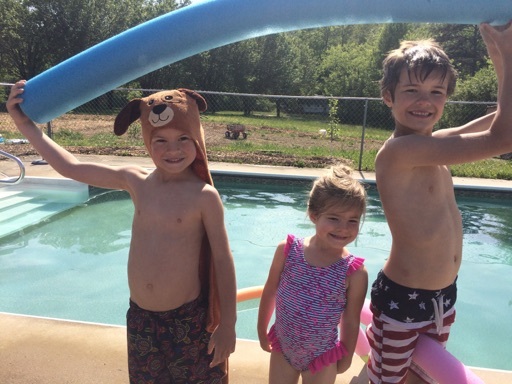 We went swimming for the first time on May 3rd and the kids were so happy! We were not looking for a home with a pool but it’s a nice little perk to have one – especially on the hottest days of our Georgia summers. 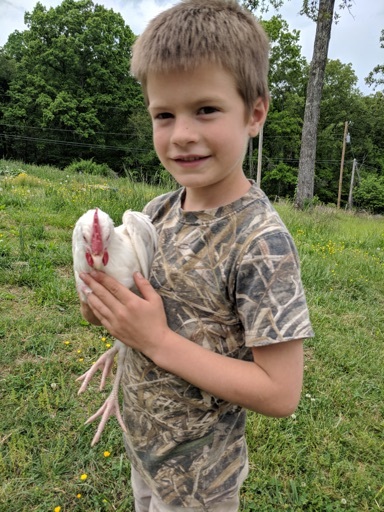 Here’s Weston holding one of my California White Roosters. I purchased 6 straight run California Whites and ended up with 4 roosters…of course! I love having Weston’s help managing our poultry flock. He owns several of his own chickens but he knows all about his as well as mine. 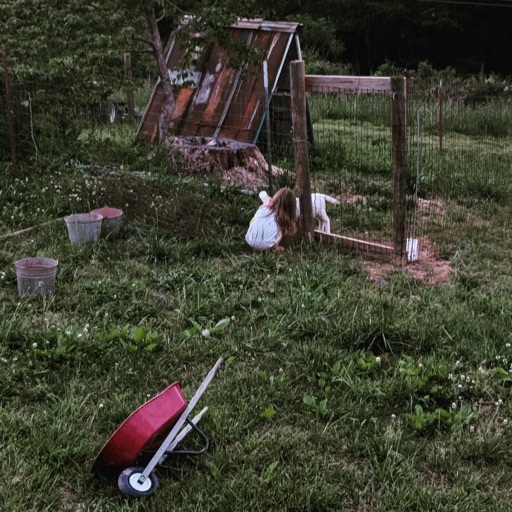 We built a small pen near the house as an extra holding pen for when we need it. Blossom was the first resident. Cecilia enjoyed visiting her to give her bottles. Too much sweetness not to share this gem of sweet Laura. 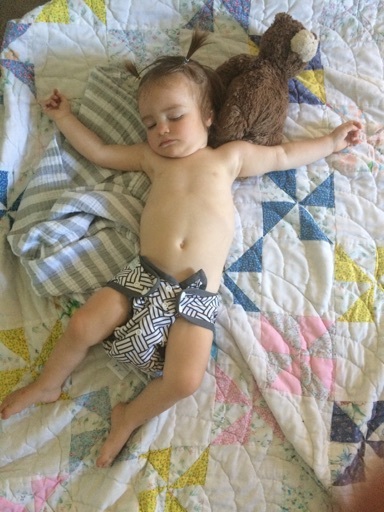 She’s such a good little napper – none of my other babies have been good nappers but she naps every afternoon and it’s such a blessing. 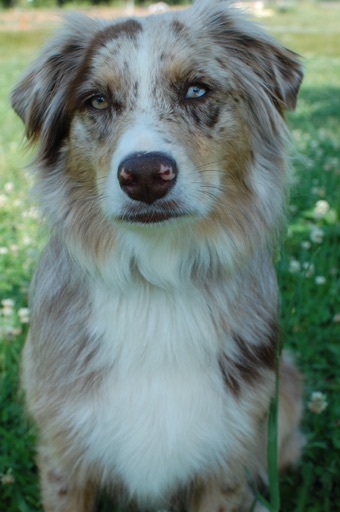 A portrait of Copper, our Australian Shepherd. Laura turned 1 on May 12! 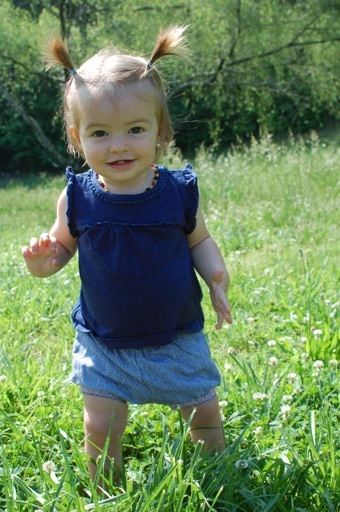 She’s walking, babbling and yelling like crazy and is one busy girl who is into everything. Even though she’s my fourth baby, I’m still just in awe of how much babies change in 365 days. It’s amazing and such a gift to witness them growing from a helpless newborn into an active toddler. This is our upper garden on May 12. The first bed is a small herb garden planted with lavender, rosemary, sage, cilantro, dill and flowers. 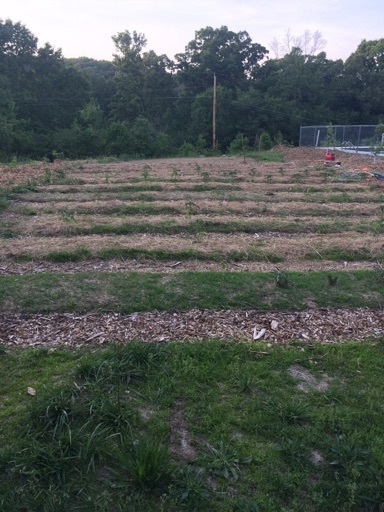 The next 6 beds are tomato and pepper plants and beyond those we’ve planted some lettuce, green beans and black eyed peas. Our lower garden on May 12. 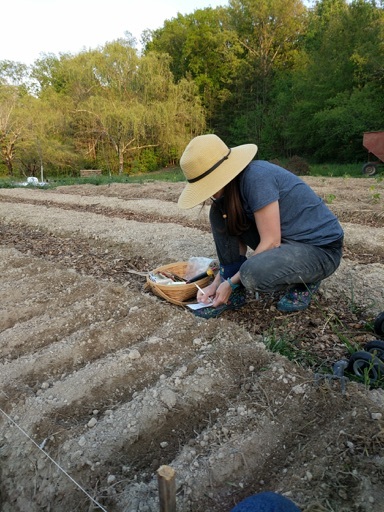 The far right bed is a row of strawberries, the second row contains flowers, lettuce, kale and radish and the other beds were just prepped and ready to plant. 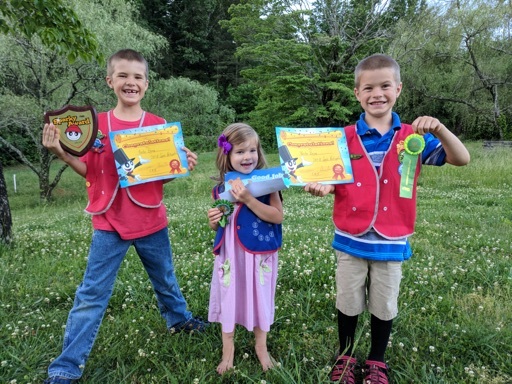 Our kiddos finished up their AWANA year on May 16th. We were so proud of all three of them for finishing up their books and earning awards. We’re so thankful for AWANA! 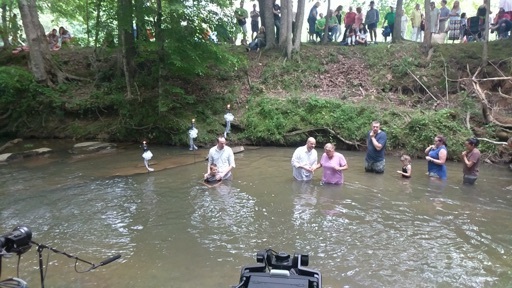 Paxton was baptized at a local farm during our church’s creek baptism on May 20th! It was such a special moment to watch him be baptized. 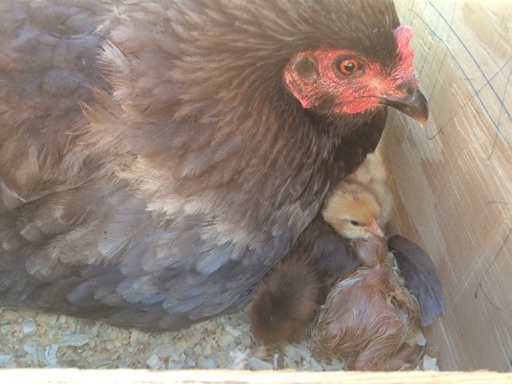 On May 20th, Weston’s broody hen hatched 6 chicks. We had never hatched chicks but she was broody and we had fertilized eggs so he decided to give it a try. He picked 8 of his eggs and sat them under her. Two of the 8 were cracked within the first 3 days but she sat on the other 6 and all 6 of them hatched! We were so excited to find a baby chick when we got home from church that afternoon. We were able to watch a couple of them hatch and we even picked up one egg before it hatched and could feel the baby chick moving around inside of the egg! It was so amazing watching the chicks hatch. There is nothing like witnessing the miracle of new life. This hen did such a good job sitting and has been such a good mama to these babies. 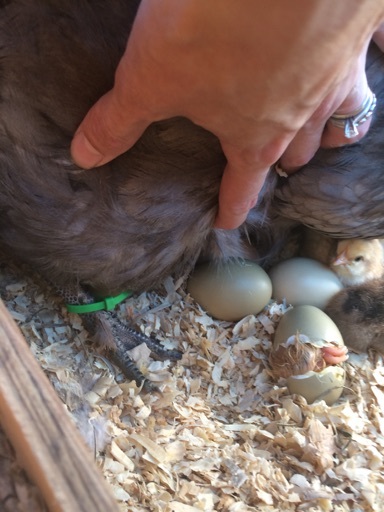 Weston has renamed her Brooder – very original! Our little boy pig, Deer, is getting friendlier. He’s finally letting John David and Weston pet him. 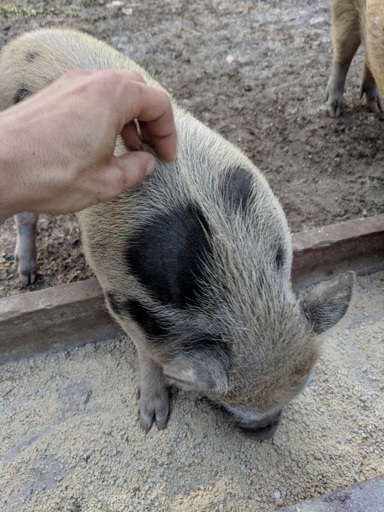 We’ve found that pigs love having their backs scratched. It’s amazing how quickly baby animals grow – these two are a few days shy of 3 months old! Our upper garden on May 26th – so much growth in such a short time. 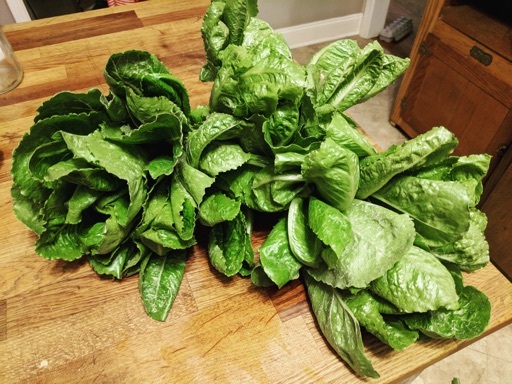 One of our first spring harvests – romaine lettuce. It was our first time growing romaine and it was delicious! 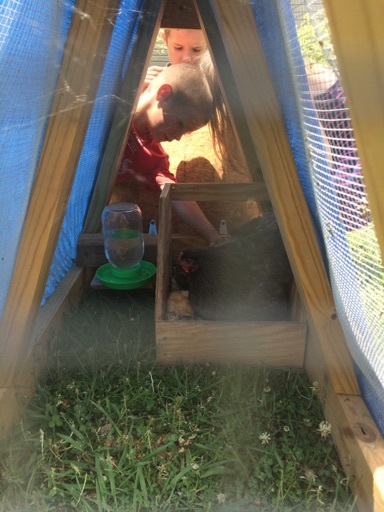 On May 25 and 26, we processed chickens with friends. 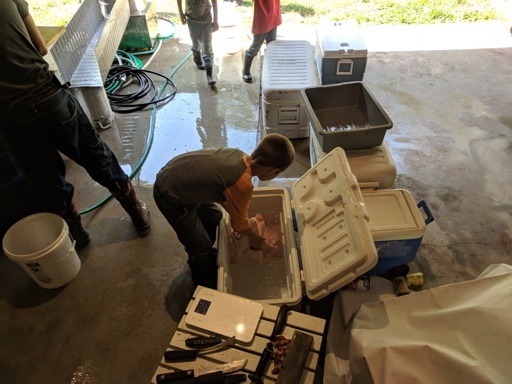 We had our basement set up with all of the processing equipment and we all worked together processing our birds and theirs. 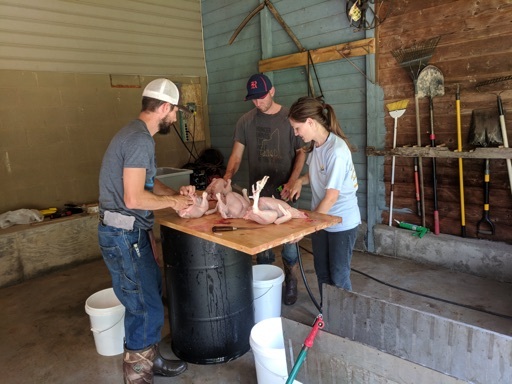 Slaughtering chickens can be somewhat enjoyable when friends join in! Paxton is putting one of the birds on ice here. The boys are learning about chicken processing and are quite helpful. I anticipate that in a year or two, they’ll play an important role in slaughter days. On May 27th (which was our 12th anniversary! ), we left for St. Augustine, Florida. John David’s parents invited us to join them and we had a lovely time. We managed to fit the entire family into a selfie! The children all loved the beach. 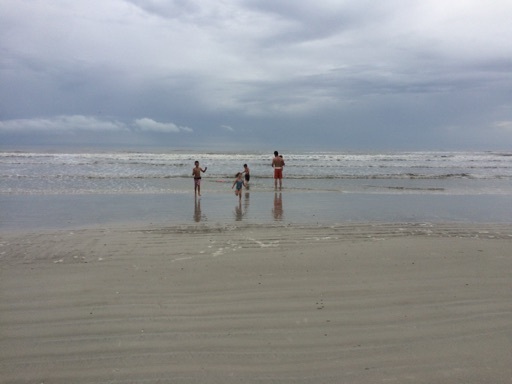 Both boys enjoyed boogie boarding while Cecilia and Laura enjoyed splashing in the water, playing in the sand and picking up sea shells. One of the nights we were there, John David and I got away for a little date to celebrate 12 years of us. 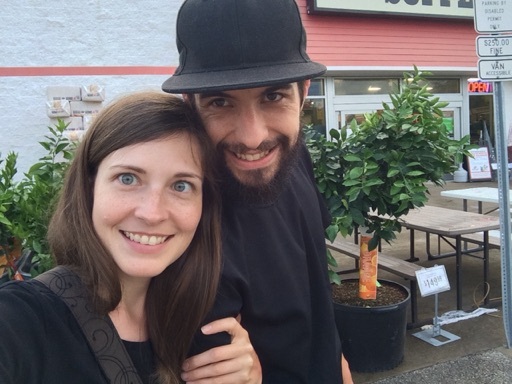 We enjoyed dinner out, stopped by a Tractor Supply (we can’t get away from farm things for too long!) and had ice cream. 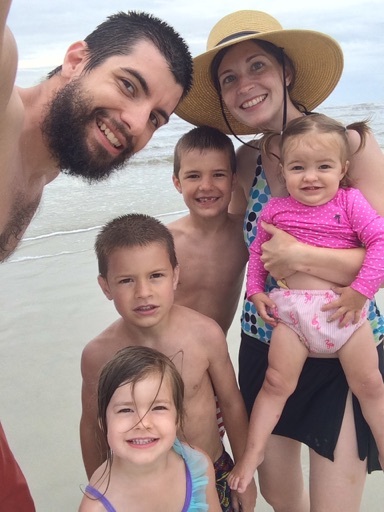 We ended May driving home from St. Augustine, celebrating John David’s 32nd birthday and looking forward to June!